Trees play a crucial role in almost all terrestrial ecosystems and provide a range of products and services to rural and urban people. As natural vegetation is cleared for agriculture and other types of development, the benefits that trees provide are best sustained by integrating trees into agriculturally productive landscapes — a practice known as agroforestry..
Agroforestry in tropical areas allow grazing and woody crops to avoid deforestation and produce energy and food from same lands. Farmers have practised agroforestry for years. Agroforestry focuses on the wide range of working trees grown on farms and in rural landscapes. Among these are fertilizer trees for land regeneration, soil health and food security; fruit trees for nutrition; fodder trees that improve smallholder livestock production; timber and fuelwood trees for shelter and energy; medicinal trees to combat disease; and trees that produce gums, resins or latex products. Many of these trees are multipurpose, providing a range of benefits. In some cases we have found biomass supply to be minimal with costs ranging from 30 U$D per ODT (oven dried ton) as chips on truck at farm gate. In Europe, in the context of new policies, we expect to be able to produce biomass from more sustainable systems. 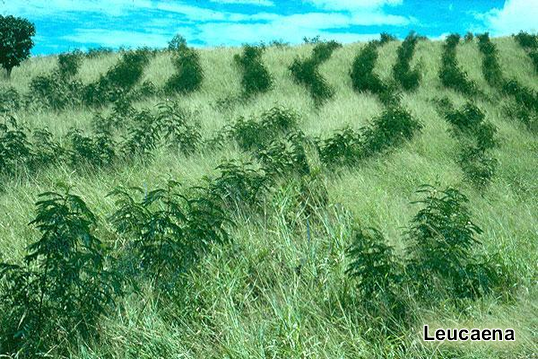 Possible combinations of perennial grasses with shrubs and high population planted trees in hedgerows are feasible options to produce low cost biomass.